The 2013 Gift of Lights & Snow will begin Friday, November 22 at 6pm at the Texas Motor Speedway. Gift of Lights & Snow is a drive-thru holiday spectacular show featuring more than two million LED lights and 600 unique holiday displays around the Texas Motor Speedway track. This year there will also be a Snow Village featuring snow tubing, snow play and a snowball gallery for active outdoor winter enjoyment. The Snow Village will be open during the day, 10 am-5 pm, on the following dates: November 23, 24, 29 & 30; December 1, 7, 8, & 14 – 31; and January 1 – 5, 2014. Proceeds benefit Goodwill Industries of Fort Worth, Tarrant Area Food Bank and KLTY Christmas Wish. Click here for more information. Panther Island Ice will be Fort Worth’s FIRST outdoor ice skating rink. Complete with real ice, Panther Island Ice will offer public skating, Santa Claus appearances, seasonal music and fun for all ages. Come out this season and make ice skating a new holiday tradition! Click here for more information. Get into the holiday spirit with strolling carolers, complimentary carriage and trolley rides, holiday craft activities, free hot chocolate and s'mores, live music, fireworks, Santa's arrival and the debut of the Celebration of Lights. The unveiling event will be 4-8pm. Click here for more information. Join us at the Village Green at 6pm until 9pm. It will be a magical evening as we kick-off the holiday season and welcome Santa home at Uptown Village. Rudolph’s Red Nose will lead Santa to Uptown Village. Enjoy over 100,000 lights when Santa flips the switch to illuminate the 30-foot, interactive tree. Experience the magic of Christmas with LIVE SNOW, strolling entertainment and magical and musical performances on the stage at the Village Green. Click here for more information. Nov 23 - Dec 21- Cedar Hill - Let It Snow! Experience the magic of LIVE SNOW on the Village Green! When: November 23rd - December 21st: Fridays & Saturdays, every half-hour from 6:30pm-8:30pm Where: Village Green. It will be a magical holiday season at Uptown Village! Santa Claus, our magical interactive tree and REAL snow on the Village Green. Click here for more information. All aboard! On November 23, Trains at NorthPark takes off on its annual journey, delighting families and spreading holiday cheer. Come experience new exhibits and classic favorites in a magical winter wonderland! The Trains at NorthPark, presented by Bank of Texas, will celebrate its 15th year at NorthPark Center in 2013. The most elaborate toy trains exhibit in Texas, The Trains at NorthPark includes trains rolling across 1,600 feet of track on a journey across America. Cityscapes include downtown Dallas, with the beautiful Margaret Hunt Hill Bridge, the State Fair of Texas and the Cotton Bowl; New York City’s Times Square and Grand Central Terminal; Washington, D.C. with The White House; New England’s fall foliage; the Grand Canyon, Route 66, San Francisco’s Golden Gate Bridge and various other highlights. The exhibit encompasses more than 4,000 square feet of train themed environments, with all the trimmings of the holiday train travel experience—steam engine and coach cars, a ticket booth and a train station as well as interactive features. More than 80,000 people visit The Trains at NorthPark each season as part of their holiday tradition. Since 1987, The Trains at NorthPark presented by Bank of Texas, has raised money for the children and families served by the Ronald McDonald House of Dallas. Currently this annual fundraiser provides the funds for almost one-third of our annual operating budget. November 27, Thanksgiving Eve, at 6 p.m.
December 31, New Year’s Eve, at 6 p.m. Lights, Cameras, Christmas! Mark the beginning of the holiday season by attending the annual lighting of the Sundance Square Christmas Tree in the new, captivating Sundance Square Plaza. Gaze at the grand 55-foot blue spruce in all its glittering beauty. Enjoy the sights and sounds of Christmas and complete your visit with a memorable photograph with Santa Claus himself. Festivities begin at 3:00PM and the official Tree Lighting Ceremony will begin at 6:00PM. Throughout the day enjoy holiday music from the Texas Girl's Choir and Fort Worth Symphony Brass Quintet. See the Elf Juggler and Unicycler as well as Toy Soldier Stilt Walkers. Get balloon animals and see your favorite holiday characters including: The Grinch, The Nutcracker, Clara, Sugar Plum Fairy, Snow Queen, characters from Peter and the Wolf and of course Santa Claus. Santa will be taking photos every weekend from Nov 23 - Dec 23. Mom and Dad, be sure to mark your calendars for Firewheel Town Center Hometown Holidays, Saturday, November 23rd. The family fun begins at 3:00 p.m. with Celebration in The Park. Enjoy games, prizes, balloon artists, face painters, carriage rides and more. Then, at 6:30, it’s Santa’s Grand Parade with marching bands and all of your favorite holiday characters. At 7:00, it’s time for Santa Claus’ grand arrival as he lights the 41-foot Christmas tree. Click here for more information. Gather together to witness Home for the Holidays Annual Tree Lighting. Santa Claus will flip the switch to illuminate a towering tree with thousands of lights. Discover the holiday magic at every turn— Christmas carols, letters to Santa, smiles from old St. Nick himself, free carriage rides and holiday refreshments. Get a head start on your holiday shopping. Find ways to give back to your community. Spend precious moments with loved ones. Festivities begin at 5:30pm. This year, 94.9 KLTY will take part in the Tree Lighting with radio personality, Tony Lopez, emceeing the event. In the spirit of giving, the radio station will again promote the 94.9 KLTY Christmas Wish™ program. Stop by the KLTY booth during the event to read wishes or grant a wish. Come Ride the Snow Hill! We are excited to announce that this year’s Tree Lighting event will feature a four-lane snow tubing hill! What better way to celebrate the start of the Holiday season than by sliding down a 12-foot snow hill? Klyde Warren Park presents Holiday Celebration in the Park 2013 on Saturday, November 23rd at noon. Activities include photos with Santa and Mrs. Claus, arts and crafts, face painting, balloon artists, performances from Park Cities Dance, Arts District Chorale, Day One Band and the Christmas Celebration Children's Choir and a tree lighting. Click here for more information. Upon arriving at the entrance to Prairie Lights powered by Gexa Energy, you will be dazzled with 4 million lights set along 2 miles of path. Hundreds of ALL-NEW displays in shapes of all kinds line and arch over the roads. Half way through the drive get out of your car for a stop at Holiday Village where you will find food, gifts, Santa, and our 2 Holiday Magic attractions the Light Show Theater and the Lighted Walk-Through Forest. The finale of the show is the world’s largest light tunnel. Half way through the drive, get out of your car to play in Holiday Village. Under a GIANT tent enjoy pictures with Santa, concessions, a gift shop and our 2 lighted attractions. Concessions sold include hot cocoa, apple cider, coffee, and a variety of seasonal food like funnel cakes, kettle corn and more. For an additional charge have your picture taken with Santa or get tickets to the Holiday Magic Live! or Holiday Magic Walk-Through Lighted Forest. This all-new show is performed live by the Broadway bound stars of Texas Family Musicals inside the Graff Chevrolet Theater where it actually snows on the audience! Sunday – Thursday 6 – 9 p.m.
Friday – Saturday 6 – 10 p.m.
Thanksgiving, Christmas Eve, Christmas Day, New Year’s Eve 6-10 p.m. The most DAZZLING & SPECTACULAR time of year is upon us! Join Vitruvian Park for VITRUVIAN LIGHTS, Friday, November 29, 2013 through Wednesday, January 1, 2014. Millions of Sparkling LED Lights brighten the park, transforming it into MAGICAL HOLIDAY WONDERLAND! On November 29th, Town of Addison Mayor, Todd Meier, “flips-the-switch” at 6:00pm. The Holiday Festivities continue until 10:00pm, with a LIVE Concert by Ricki Derek, Photos with Santa and the Holiday Snowman, an Elf Balloon Artist, Food Trucks, Dessert Vendors, a Beer & Wine Garden, and Holiday Shopping Village. 106.1 KISS FM is also be onsite LIVE, at Vitruvian Lights! This Outdoor Event is FREE, along with Onsite Parking at Vitruvian Park, and Offsite Parking at Alfred J. Loos Sports Complex. Food & Beverages are availible for purchase. 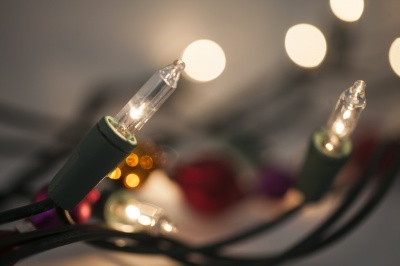 Plan to make VITRUVIAN LIGHTS a part of your Holiday Tradition, this Season! Every show features Missile Toes, Galleria’s ice-skating, back-flipping, pyrotechnic Santa Claus, live performances from Olympic and National Champions and local children performing to introduce the lighting of the country’s tallest indoor tree. The 31st annual Chesapeake Energy Parade of Lights, presented by CHASE, in downtown Fort Worth, Texas will be held November 29, 2013 beginning at approximately 6pm. With over 100 highly illuminated entries, the Parade of Lights will kick the Holiday Season in style. From Belknap Street to Commerce Street, and around 9th Street along a new, extended route, then over to Houston Street and up to Weatherford, the parade will transform Downtown with the theme of, "Our Christmas Traditions!" Back by popular demand, Mrs. Renfro's Salsa Night of Lights Fitness Walk, where participants will take a brisk walk in front of thousands of holiday revelers. Join Santa's elves in helping make this year's parade the "Cleanest Holiday Parade in America!" Home for the Holidays…A McKinney Christmas is the best way to start your Christmas celebration. The weekend after Thanksgiving in Historic Downtown McKinney features non-stop family activities, entertainment, food galore, a chance to finish your Christmas shopping and much more. Thanks to our sponsors for making it all possible. Watch faces light up at the tree lighting on Friday, Nov. 29 at 6 p.m. and start (or finish) your Christmas shopping with Candlelight Shopping until 8 p.m. at all the unique shops on the square. Candlelight Shopping will continue periodically throughout the holiday season. For the very first time, Southfork Ranch will present A Southfork Christmas, featuring live actors, carolers, festive holiday lights and decorations, a Santa’s Village and more. Every Friday and Saturday from November 29th through December 21st 6-10pm at the Southfork Ranch. The centerpiece of the experience for visitors will be watching seven unique holiday vignettes performed by actors from The ArtCentre Theatre of Plano. Created to evoke Texas Christmas traditions through the years, the vignettes will depict Christmas during pioneer days, on the prairie, a cowboy Christmas, the Roaring '20s, World War II, the 1950s and the present-day Dallas-inspired era. Visitors will also be able to view the Southfork Mansion, write holiday cards for active duty military members stationed away from their families and donate toys to Toys for Tots. Guests who bring an unwrapped toy will receive a free pass for a future tour of Southfork Ranch.For more information click here. Pancakes with Santa will be held at the Central Fire Station in McKinney on Saturday, November 30th at 8am. Guests will enjoy an all-you-can-eat pancake breakfast complete with sausage and a beverage. Everyone will be able to get a photo with Santa courtesy of First Response Photography. This event is to benefit the McKinney Fire Fighters Local #2661 benevolence fund. The fund is used to help firefighters families in times of need from injury or illness. Additionally, funds will support the Auxiliary to the McKinney Fire Fighters. For more information click here. It's time to dig out your favorite holiday sweater, bundle up and get the family together and head into LEGOLAND Discovery Center to help us celebrate the holidays starting December 11th! It looks like Santa has taken over MINILAND and he has a secret message that we need your help solving! Come join on the fun starting Wednesday, December 11th! Do you still need to write a wish list down to send to Santa? Come visit us between 2pm-4pm on Wednesday, December 11th and Wednesday December 18th to write your very own letter to Santa. Don't forget to drop it in our LEGO mailbox so we can send it off to the North Pole! We all know Santa loves his milk and cookies, so we wanted to give you a special treat, too! Stop by the cafe from 2pm-4pm on Wednesday, December 11th,18th and 25th for a FREE cookie and juice! *While Supplies last. We need help decorating our LEGO tree this holiday season! Drop by our retail store on Saturday, Decemeber 14th 21st and Sunday, December 15th and 22nd between 11am-1pm and donate $1 to Merlin Magic Wand and build an ornament to place on our tree. Sparkle! at the third annual Christmas at the Anatole celebration will bring one million Christmas lights, an outdoor skating rink, live entertainment and drop-ins from local celebrities from the Dallas Stars and Dallas Zoo to the landmark Dallas hotel. An official lighting ceremony will be held Wednesday, Dec. 4, featuring Dallas Stars icon Mike Modano and Kidd Kraddick in the Morning deejay Kellie Rasberry. Special Outdoor skating Rink Events - On Fridays, couples can come out for a special “Date Night-Skate Night” and enjoy a night of skating, music, wine and hors d&#39;oeuvres. In addition, Dallas Stars will offer hockey clinics and make appearances Dec. 14, 21 and 28. Live Nightly Musical Performances - Every evening, enjoy live outdoor entertainment from bands such as Dallas Electric String Quartet and Lone Star Attitude. Guests can also expect performances from Turtle Creek Chorale, the Dallas Black Dance Theatre and shows by Texas-area school choirs. Bark in the Park - Sunday, Dec. 15, and Sunday, Dec. 29, dog owners can bring their four-legged friend from 1-4 pm to participate in a pet costume contest. Christmas at the Anatole is free to patrons, while “Sparkle!” charges a nominal fee for admission. “Sparkle!” costs $9 for adults 18 and older; $7 for children ages 7 to 17; and is free of charge for those who are 6 and younger. Click here for more information. Come to Eastside Plaza from 5:30pm to 7:30pm. Santa sleigh, and candy canes. Free horse drawn carriage rides around the plaza and holiday gfts available for purchase. Special performance by The Berkner Ramblers. Free food samples and holiday treats, music, kids entertainment and a visit from Santa and Mrs. Claus. Please bring a nonperishable food item or coat to donate to the Network of Community Minitries. Click here for more information. Come to City Hall at 7:00pm for an evening of old fashioned holiday fun and music! Celebrate the 30th Annual Christmas Tree Lighting on the lawn at City Hall. There will be craft making in Santa's Workshop, free cookies, hot chocolate, coffee, and live Christmas music. Jolly ole St. Nick will stop by to visit. Click here for more information. Begin your celebration of the holiday season with the 4th annual Post Addison Circle Tree Lighting Ceremony (rain or shine!) in Beckert Park at 6:30pm. Addison Mayor Todd Meier will address the crowd, and just in time to light the tree, Santa Claus will arrive by an Addison fire truck. Following the ceremony, Santa and Mrs. Claus will visit with youngsters, making a list of all the good boys and girls wishes. Frost Bank, who has generously agreed to sponsor the tree this year with AT&T, will also be conducting a raffle where you have a chance to win a free iPad, and AT&T will be donating a $100 gift card, along with other great prizes. Come visit with the jolly old elf on December 6th & 7th at the Olde Town Christmas Craft Fair. With over 70 vendor booths you can shop for that one of a kind gift for everyone on your list. Take a family picture with Santa! The smells of homemade goodies will fill the air while music of the season surrounds you! The newest ideas in holiday decor and gifts can been seen and purchased at this fun‑filled holiday event. Admission is FREE! Hours: Friday 12-7pm Saturday 10am-3pm. Click here for more information. Due to new and pending construction in The Village, this year's event returns to Colleyville Center, 5301 Riverwalk Drive. The event features holiday crafts for children, plus favorite seasonal games, including Santa's Toy Toss, Top A Snowman, Snowball Fight, Ring! Ring! Rudolph!, Penguin Fish Fling, and the Lollipop Throw. Activities such as Zorb Ball Racing and a holiday zip line will return, along with many new winter wonders. The Holly Colley Holiday entertainment schedule includes student choirs from Bransford, Glenhope, and O.C. Taylor elementary schools, as well as the Colleyville Middle School Jazz Choir and the Grapevine High School JV Mustang Belles Dance Team. And some of the most popular gourmet food trucks in the Dallas/Fort Worth area will be on hand, making Holly Colley Holiday a foodies' delight. Hours are 4:30 to 8:30 p.m. and parking is available at Town Center and at Life Time Fitness. Holly Colley Holiday is free and open to everyone. Reliant is lighting up a new holiday tradition at the AT&T Performing Arts Center, so bring your entire family for an evening of holiday magic! We’ll be illuminating the Center’s campus with 250,000 dazzling LED lights to celebrate the holiday season. The FREE festival includes the Southwest Airlines Holiday Concert and Fireworks Spectacular featuring a live performance by country music star Jack Ingram. The celebration will also include photos with Santa, holiday crafts for kids, animals from the Dallas Zoo, and a winter wonderland with real snow! And while you’re here, you can feast on tasty treats at the food trucks, warm up with a cup of coffee or cocoa at Pearl Cup Coffee or enjoy an adult beverage at the Southwest Porch. And since you’re here, stay for a show! Tickets are still available for some of Dallas’ best holiday shows, including the Dallas Theater Center’s A Christmas Carol, Texas Ballet Theater’s The Nutcracker and The Dallas Symphony Orchestra’s Christmas Celebration. Join us in the District for a holiday celebration! There will be roaming carolers, in-store specials, photos with The Grinch, & Christmas scenery! Friday, Dec. 6th & Saturday, Dec. 7th - 6 to 10 p.m. Jingle Bells Street Bazaar will take place during the day on Saturday, Dec. 7th! Click here for more information. Three day free family-fun holiday festival featuring shopping at the large indoor holiday market, children’s ornament building workshops, a festive tree lighting, holiday concessions with hot chocolate and spiced cider, live entertainment including carolers and dancers, outdoor movie night, and pictures with Santa Claus. Fair Park Holiday coincides with the Holiday Pet Expo and the Chinese Lantern Festival. This holiday weekend will provide tons of fun for the entire family. * The Polar Express movie will be shown outdoors. Chairs and blankets are encouraged. The Market Place is located inside the Grand Place Building next to Big Tex Circle at Fair Park. This large market will include multiple artist, crafts, and holiday vendors for your holiday shopping. Inside the Market Place will be holiday workshops for children to create ornaments and other gifts and live entertainment including carolers and dancers. The holiday concessions by Velasquez Catering & Concessions, Inc. will include festive holiday foods, hot chocolate, spiced cider, and seasonal beer. Santa Claus will be visiting (see schedule for times) for pictures with children. The festivities for our 25th annual holiday lighting start at 5:30 pm on the Courthouse-on-the-Square. Events include: Lighting of Christmas Tree on Historic Courthouse Lawn, visits with Santa, a children's arts and crafts area, great food, live music featuring a variety of local musicians, and much more. Click here for more information. Since December 1983, the community of Granbury has welcomed visitors to tour historic private residences and sites. Granbury, Texas, a place where Texas history lives every day, celebrates its culture this time of year in a truly magical way. During this event, the community bands together in an assemblage of lights, carriage rides, Christmas carols and treats. The city comes to life with an air of the days of old and the miracle of the Christmas spirit. Participants that take advantage of pre-sale reservations will enjoy a 20% discount (ends Nov 30). Hours: Friday 6:15-9:15pm, Saturday 9am-9pm, Sunday 12:30-5:30pm. Click here for more information. The annual Old Town Holiday Stroll will be held Saturday, Dec. 7, in Old Town Lewisville, featuring a wide range of free family events from 3 to 8 p.m. The event, previously called “Holiday at the Hall,” is being jointly presented by City of Lewisville and Old Town Business Association, with assistance from Keep Lewisville Beautiful, Kiwanis Club of Southern Denton County, Old Town Preservation Society and Dancers Workshop. Highlights will include Huffines Auto Group Christmas Parade at 3 p.m., followed by Holiday Stroll activities from 4 to 8 p.m. including the city’s Christmas Tree Lighting, a Gingerbread House Contest, visits with Santa Claus, unveiling the Christmas Window Display tour, live music and entertainment, children’s crafts and more. Although not part of the Holiday Stroll, the annual Motorcycle Toy Run will be held the same day starting at 10 a.m. at American Eagle Harley-Davidson in Corinth and ending with lunch and a live band in Old Town Lewisville. As many as 1,000 bikes are expected to participate and to collect more than 1,000 toys for local children’s charities. “Any family looking for a way to kick off the Christmas season and really get into the festive spirit should attend this festival in Old Town,” said Mayor Dean Ueckert. The parade will follow the same route as in past years, starting at Cowan Street and travelling east on Main Street, then south on Mill Street to Purnell. Prime viewing areas will be set up along Main Street in the downtown corridor. Recent parades have drawn more than 70 entries, including the Lewisville High School band and a variety of floats and vehicles. After the parade, Santa Claus will meet with children for photos and to hear their Christmas requests. Local groups will perform on the Community Stage, while the Kiwanis sell hot dog meals for $5 each. At 5:15 p.m., Mayor Dean Ueckert and Mrs. Claus will join forces for the “Lewisville Lights!” Old Town Christmas Tree Lighting, flipping the switch to turn on the city’s Christmas tree and tens of thousands of lights along Main and Church streets, on Lewisville City Hall and on MCL Grand. Mark your calendars for Holiday in the Plaza on December 7th from 4-7pm! The Classic Swing Band sponsored by Infinity Lawnscape will keep you entertained. Bring the entire family and invite your friends to experience a variety of holiday activities that include: Santa, Santa's elf and holiday mascot (parents, bring your cameras), carriage rides, face painters, carnival games and inflatables, trackless train and rock wall. Other family activities include: cookie decorating by I Like Big Bundts, a petting zoo, balloon games and prizes by Celebrate It! Balloons & Gifts, arts and crafts by Enchanted Artist, and an additional photo-op next to Santa. By nightfall, Santa will take part in the annual tree lighting. Food will be for sale and free hot chocolate will be provided by The Castle Hills HOA while supplies last. You won't want to miss a performance by the Hebron High School choir. Click here for more information. The Fort Worth Stockyards National Historic District celebrates Christmas on Exchange Avenue on Dec. 7 from 2-6pm. There will be a tree lighting, a holiday spirit parade at 4 p.m., games for kids with Radio Disney, chicken roping, visiting with Cowboy Santa, and much more. Click here for more information. Scuba Diving Santa is coming to visit us again this year! He is ready to let us know who has been Naughty and who has been Nice! Don't miss out as he takes his dive on Wednesday, December 11 & 18 and Saturday, December 14 & 21 at 11am in Dinosaur Dive. Did you forget to write down the last thing from your wish list this year? Have no fear you can still let Santa know and write him a letter and drop it in our mailbox so we can send it to the North Pole on Wednesday, December 11 & 18 and Saturday, December 14 & 21 from 12pm-2pm. If you're an Annual Pass Member don't forget you can bring a friend for FREE on December 11th, 14th, 18th and 21st! For over 40 years, staff and volunteers have decorated Dallas Heritage Village, lit candles, and welcomed Dallas to Candlelight. Performances by local groups, crafts for the kids, carriage rides with Nip and Tuck, and the Guild's annual bake sale complete this annual tradition. Join us! Entertainment: Don’t miss some the best and brightest from the community. Local musicians, choirs, dancers, etc. will grace the three stages of Candlelight. Enjoy the sounds of the season throughout the Village with strolling carolers. Sat, Dec 14th, 2013 1pm-5pm. The Village at Camp Bowie presented by Frost Bank 6325 block of Camp Bowie Blvd. Fort Worth, TX. There will be: Pictures with Santa and his Reindeer, Carnival Games, Pony Rides, Face Painting, Holiday Music, Balloon Artists, Cake Walk, Letters to Santa. A DONATION FOR TOYS FOR TOTS IS ENCOURAGE! The McKinney Rotary Club is pleased to present to you the 14th Annual Christmas Parade of Lights. "Twelve Days of Christmas" December 14, 2013 at 6:30 PM in downtown McKinney, Texas. Come out and see all of the beautifully decorated and lighted floats as we kick off the festive Christmas Season. Santa Claus will again be celebrating the festivities with us and he would like to see you at the parade as well. Come to downtown to celebrate what makes McKinney a truly unique place to be. Join NorthPark Center for the ultimate holiday bake sale benefiting the North Texas Food Bank's Cooking Matters™. Presented by the Texas Chefs Association, dozens of premier chefs from area restaurants and catering companies present an assortment of gourmet cakes, sweets, pies and cookies available for purchase. Cooking Matters™ empowers more than 15,000 families each year with the skills, knowledge and confidence to prepare healthy and affordable meals. Treats of Christmas takes place in two locations, to be announced at a later date.